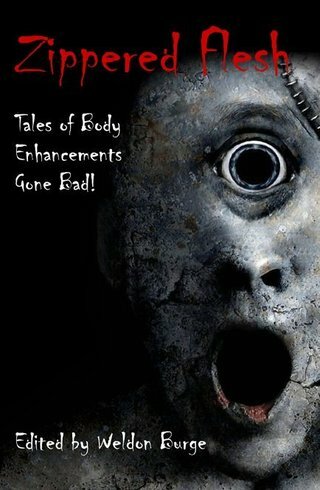 WELDON BURGE - ZIPPERED FLESH: TALES OF BODY ENHANCEMENTS GONE BAD! In this anthology of dark stories, bizarre body enhancements play pivotal roles in the plots—and things are never pretty or pain-free. The 20 stories in this collection are not for those who are faint of heart or squeamish, or who are easily offended by disturbing imagery, bloody violence, and freakish body augmentations. Love chilling tales? You'll savor this anthology!